Before I get into discussion – here’s a special thanks to Hachette Audio and Libro.fm for the audiobook in exchange for an honest review. Thanks! 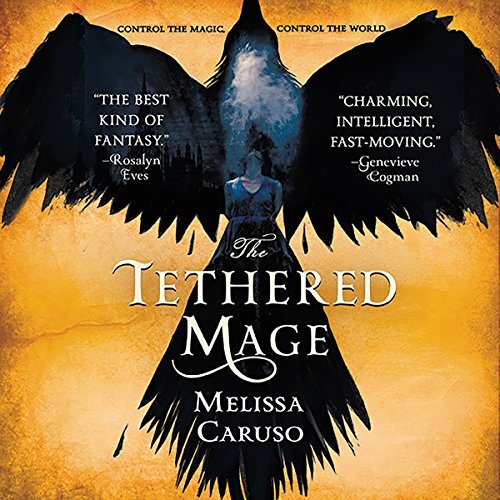 The Tethered Mage is Melissa Caruso’s debut novel and the first in the Swords and Fire trilogy. The Tethered Mage is told from the perspective of Amalia Cornaro, an heiress and the daughter of La Contessa Lissandra, one of the most powerful people in the Empire. Rather than take on the mantle of her family’s political clout, Amalia spends her time in books and libraries far removed from the games of intrigue that Raverra’s nobles play. This all changes when Amalia, by pure happenstance, runs into Zaira, a balefire mage that has somehow gone unnoticed by Raverra’s military. Zaira encounters some thugs on the streets of Raverra, using her balefire to protect herself and Amalia. As the balefire feeds on the thugs it grows in power until Zaira loses control of it. To save her city, Amalia braves the fire and puts a jess on Zaira, a bracelet sealing her power off and binding the both of them with the magical bond of Falcon and Falconer. Hence, Zaira is the tethered mage. All of this happens in the first chapter. As a Falcon, Zaira is brought in against her will by the Raverran military and conscripted into the Mews – a school and home for Falcons and their Falconers to live until the military has need of their skills. Amalia wants to go back to her routine of learning and books, but having a powerful balefire mage under her control begins to unravel her plans as political strings are pulled in every direction. With mounting pressure from her mother, the Raverran court, and powerful enemies, Amalia finds herself at the center of a political firestorm that could burn everything she loves to ashes. The Tethered Mage is written like a YA book, but the themes and intricate knots of conspiracy are well above YA. I would say that it falls under the sub-genre of political thriller fantasy, since Amalia is the POV and she’s determined to make peace between multiple political factions. Melissa Caruso knocked it out of the park with her bright prose and interesting characterization throughout the story. If I think I have one criticism of this book – it could have been a more satisfying read with multiple viewpoint characters. A considerable bit of the action in the book happened offscreen, with a lot of things going on in Vaskandar and Ardence. Personally, I thought a Zaira and/or Prince Ruven viewpoint would have been really entertaining and provided more meat in a story where much of the discussion happened in drawing rooms or parlors. Really, what I’m saying is I want to have a Vaskandren book now – Witch Lords and skinwitches sound way too cool. Which is exactly where the sequel comes in! 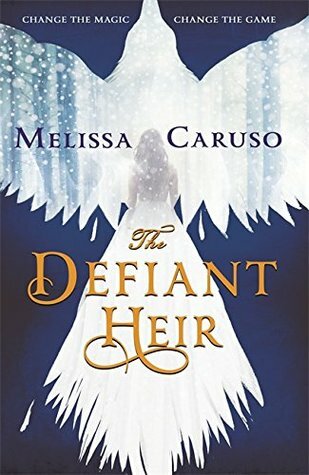 Look for The Defiant Heir on April 19th, 2018! You should read The Tethered Mage if you like political intrigue, smart POV characters, Italian-based culture, vivimancy, pyromancy, artifice, and avalanche endings. You can find The Tethered Mage on Amazon, Libro.fm, or pretty much anywhere else that has good books!